The Creative Age: "Life is like a garden...it's blooms reflect the level of passion." "Life is like a garden...it's blooms reflect the level of passion." A gardener devotes passionate energy to creating the perfect garden - from planning the ideal sunlight, temperature, pruning, the proper watering, to the overall commitment to tender loving care. That level of care grows into the most colorful and bountiful garden, shining to those who get to experience it and appreciate it. Life is very much the same…the more passion and energy we devote toward every aspect in our lives (whether it goes into our relationships with others, daily tasks, careers, parenting, or just plain feeling and showing gratitude and respect for the world around us), it’s completely reflected in our very being and presence in society. Just like the garden, after much tending and caring, the garden grows effortlessly – so does a life that is lived with daily passionate purpose. The results for those who live life with this passionate purpose, or in their “element,” is life that seems effortless, and is bountiful, colorful, joyful, and most importantly – FULFILLING to both the self and others who get to see or experience the results. Life only gives back whatever we put into it, just like a garden. The most beautiful gardens are a reflection of what the gardener puts into them, just like our life is collectively. The same goes with the opposite part of this analogy toward our lives. The less passionate you are, the less you cultivate what comes natural to you, the less colorful and bountiful your life will grow from your efforts. A garden that is not grown in it's natural environment (a person not doing what comes naturally to them and what they are best at), that is not watered or lit properly according to the plant’s natural needs (a person who does not adjust their lives around what they are meant to be), or is not pruned or shaped as desired…or worse, is not given the time to rid of weeds - does not grow to it's full potential. Our lives are very similar – if we plant ourselves into careers, relationships or tasks that are not aligned with what we are, our lives will reflect this just like the palm tree that simply cannot thrive in a northern climate. What if we all treat our lives as if we are growing a garden? What would yours be like? What plants would be in it? Would there be flowers, fruit or herbs? Plan and nourish life, like a garden is nourished, and experience the results. A more fulfilled life that is healthier and happier, with greener leaves, the most colorful blooms, and the juiciest fruits that will attract positive attention, energy and leave a legacy of a life lived to the fullest. Interestingly, what also happens, is the need for that garden to be acknowledged by others lessens, as the fulfillment starts to come from within. Just like a garden…it will still exist, and grow strong and beautiful whether anyone else but the gardener cares. If the gardener loves and appreciates the garden, it’s all the matters. When I painted the “Tulip Garden” back in 1997, something amazing happened – I found myself frozen in time, within a zone of which no words exist. 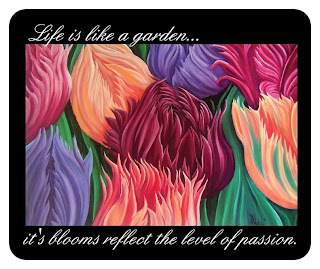 My passion for the petals of the Parrot Tulip, combined with my innate love for painting simply exploded effortlessly. I allowed myself to fully experience something that came naturally to me, and what I was really good at –then let the passion flow. The flowers became a mirror to my very soul, I was free to make the flowers however I wanted…I placed light where I wanted, mixed the colors of my choosing, and simply let the brush flow into curves of my imagination. It was truly the first time I can recall existing fully in my “element,” (I recommend reading Sir Ken Robinson’s “The Element” if you would like to explore what that means further). Then, for whatever reason, I went on to continue with life’s daily routines, and didn’t allow myself to fully acknowledge what the experience really meant. My intuition was telling me, but I wasn’t listening – my life being raised around entrepreneurs meant I was raised to build businesses; not be the floating “starving artist” (much of society did not fully acknowledge painting as a “real” profession). It’s like I became that palm tree planted in a northern tundra, and have been struggling all these years in an unnatural climate. I recently dug out the 200 remaining limited edition lithographs I did make of this special painting a few weeks ago…. I recalled that emotional experience. It was shortly after I read “The Element,” and realized that years of that nagging feeling that I was not living life in my true passion, that it was becoming more and more apparent, reflecting in my health, attitude, and overall daily fulfillment in life. I discovered that I was forgetting something that I was most passionate about, and the garden of my life was starting to show it. My enthusiasm and zest for creating, that used to come so naturally, was fading…like an un-watered flower, I was wilting. Now, 14 years later, after being graced with a gamut of new skills and talents (note I never regret learning from the pioneers of brand at the Limited or business school at OSU), I finally get it – and am simply more empowered to move into my natural soil. The time had come to incorporate painting as part of my daily life. This year, I began to cultivate my passion by immersing myself back to my most natural element of painting, and balance with my design and business skills. Like cultivating a garden, I approach each day planning the proper lighting and watering schedule to stay in sync with my ideal garden to reflect my life purpose and values. I assess and adapt every opportunity to ensure it aligns with the desired result (just like a plant adjusts itself to where the best light is, or move it’s roots toward the water). I choose brand design and online projects that will grow best in the garden, where the blooms will reflect the most passion. So far, so good. This philosophy and standard of daily living has freed my mind and my days to put passion into even the most seemingly mundane tasks – from helping my daughter with her homework, consulting on brands for only the most passionate business models, being nice to the lady at the checkout counter, cleaning my kitchen, to, of course, devoted studio time to paint and write about what comes naturally. This shift to passionately working in my element has made each day more colorful, more fulfilled, and has created a contagious positive flow of energy to everyone I am around…a beautiful garden in progress. The point of the “Tulip Garden” is the lesson, beyond the excitement of pure creative freedom it stands for, the importance of how passion makes life simply flow. I now strive to share this moment however I can – inspire others to put passion into life, and when it is not there, use that moment as the opportunity to discover where to find it, or make a conscious decision to change the negative into positive. The more positive passion and energy, the larger, the more bountiful, the more colorful blooms will inevitably result. 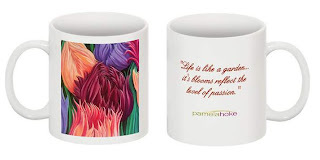 So, I created the “Life is like a garden…” series based directly from the “Tulip Garden.” It exists to share in the journey of a more colorful, passionate life – while inspiring the will to move forward with whatever comes naturally, and accept it. I hope everyone at least considers approaching today like their life is a garden, and tend to it with as much passion as possible! 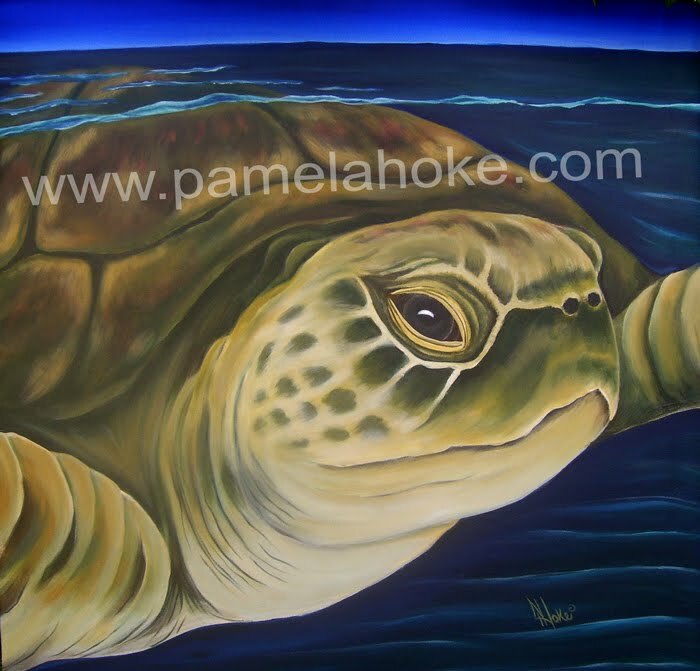 Please visit my new art site and send feedback about the "Tulip Garden" series, or just feel free to browse around for inspiration.www.PamelaHoke.com. Enjoy growing your garden of life!